Gareth has been my trainer since 2005. 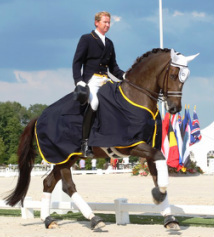 He has won many BD National titles as well as International Grand Prix. He knows me well, as I used to work for him, and knows that I do not want to be limited by my disability. It is Gareth's 'fault' that I started competing in Para Dressage as he suggested that I give it a go. Working for him at Aspen Grove Dressage gave me a fantastic springboard to jump off. My horses respond very well to his methods and I understand his system as I have watched Gareth work his horses over several years. Gareth is very clear about what he wants from the horse. He keeps everything straightforward and incremental. Conrad is a bit of a legend, he has been Team Coach for most of the best Dressage nations' Olympic teams throughout his long training career. He is exacting and thoughtful. He has taught me a lot about controlling the willful Wonderboy and getting him to knuckle down and work with me. Unfortunately, he is now spending most of his time teaching in the USA. 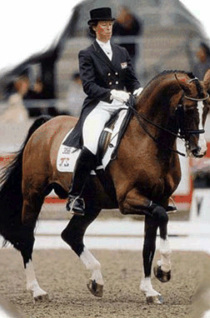 Ellen is a Dutch Olympic medal-winning dressage rider who was trained herself by Conrad for most of her competitive career. Ellen knows exactly what she wants, works us hard and I learn a lot from her very expressive outbursts! I really value her direct approach as there are no grey areas, everything is either good or must be done again, better. 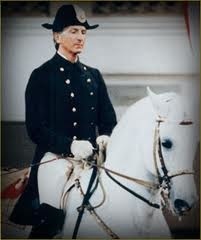 ​Arthur was the youngest ever First Chief Rider at the Spanish Riding School in Vienna. He also represented Austria in the 1980 Goodwood Alternative Olympics. 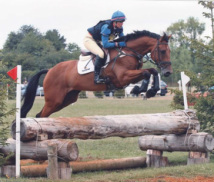 I trained with Arthur regularly for about 3 years when he used to come over to Witham Villa Riding Centre. It was an amazing opportunity to train with someone of his experience and horsemanship genius. ​I trained with Olympic Silver medalist Eventer Tiny when I was a child and again when Whoop was young. She was a hard taskmaster but gave me a sound basis to grow my riding skill further. I got a rounded riding education from training with Tiny as she had me jumping as well as doing flatwork. Tiny has been a great influence throughout my riding life and I have upmost respect for her abilities to bring on young horses and riders.